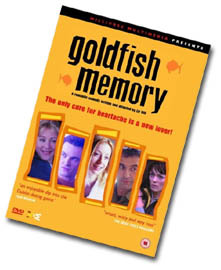 Goldfish have excellent memory. That's why they are frequently used in scientific studies of memory and learning. In one experiment inspired by that theory [that "memory" is formed in proteins], University of Michigan Biochemist Bernard Agranoff taught goldfish to swim over a barrier, then injected them with puromycin, an antibiotic that prevents protein synthesis. When the injection was given hours after learning, it had no effect, suggesting that memory proteins had already formed. Injected just before or just after training, the drug prevented learning. The curve with the shows the results for fish who got a "moving target", the curve with the shows the results for the fish who had the bait in the same place in all trials. Both groups learned the rules of the game, the latter also where the bait was. Not that I have seen this one - maybe it's making fun of the myth..? * A "Morris water maze" is not really a maze but a little pool with opaque water. In this water you put a rodent. Somewhere in the pool is a small platform, just below the surface. In order to reach the safety of the platform, the rodent (who can't see it in the milky water) has to navigate using visual cues placed around the pool. By repeating this experiment one can quickly see how (or if) the animal learns the location of the platform. It is this kind of spatial learning that, according to Saito & Watanabe, goldfish are as good at as rodents.